GSM gateway will bridge IP calls to GSM and vice versa. Use the web interface for easy and quick configuration. A GSM Gateway uae enables direct routing between IP, digital, analog and GSM networks. With these devices (fixed cellular terminals) companies can significantly reduce the money they spend on telephony, especially the money they spend on calls from IP to GSM. The core idea behind cost saving with VoIP GSM Gateway Dubai is Least Cost Routing (LCR). Through least cost routing the gateways select the most cost-effective telephone connection. They check the number which is dialled as well as rate information which is stored in an internal routing table. Because several SIM cards and GSM modules are integrated within the GSM Gateway it can make relatively cheaper GSM to GSM calls instead of expensive IP to GSM calls.It will convert gsm to sip lines. What is a Gsm Gateway? Acepaq deal only with the leading GSM gateways in Dubai those are fit for your business. GSM Gateway Dubai does is that it allows direct routing between the networks such as the IP, analog and GSM networks. A wide increase in the use of mobile phones has led to increase in the call costs for business. For a small business, this affects much particularly. GSM gateway uae uses a SIM card and through this connection, the calls are being forwarded. Gateway converts this cellular connection to SIP and forwards to VOIP PBX. It facilitates a connection between analog and GSM networks. it is perfect for the small and large business environments. Due to its advantages. It can used in call centers, offices and all. This gateway is ideal for an enterprise having software PBX or telephone exchange with VOIP Gateway interface. These can be used to reduce the costs maximum. Acepaq serves diverse communication needs of customers with its comprehensive range of GSM Gateways in Dubai. We delivers cutting-edge technology GSM Gateway in Dubai Devices, rich in features and functionalities. GSM/3G has emerged as a superior alternative to the fixed-line networks and offer wider coverage and cost benefits. Today’s businesses expect specific benefits from GSM/3G networks without sacrificing existing POTS connectivity. 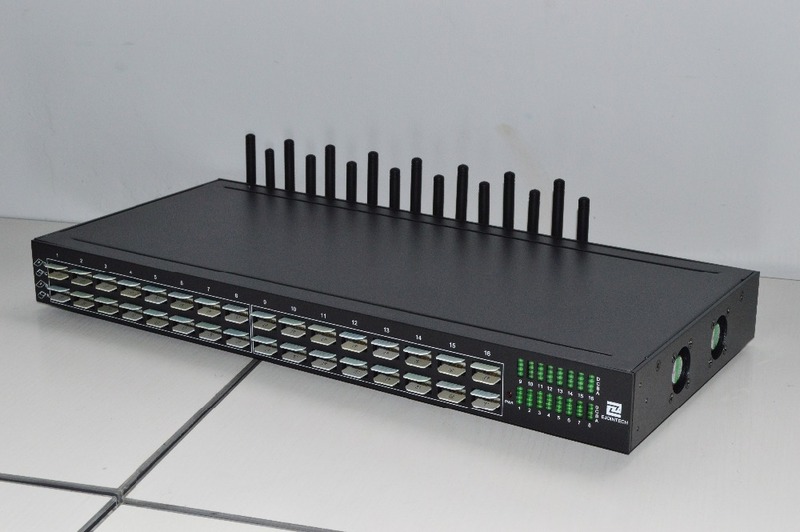 GFX44 is a family of Integrated 4 Port Gateways and 8 Port GSM Gateways, interfacing the GSM/3G networks with the wired POTS networks. GSM gateways reduces your telecom bill. Calls from fix phones to mobiles phones usually represent 45% to 65% of a company’s telecom bill. Easy to install, a GSM gateway in uae automatically converts calls from fix phones to mobile phones into calls from mobile to mobile which are cheaper for they are carried through a unique telecom network, GSM network. The cost of fix to mobile calls on average decreases . The gateway offers the enterprise additional features such as fax, SMS or Mobility.Analog gateway can connect to pbx telephones.It can integrate with audio conferencing, call monitoring software and telephone system headsets. Abu Dhabi, Muscat, Riyadh, Dammam, Doha, Qatar, Oman, Kuwait, Manama, Bahrain, Saudi Arabia, Baghdad, Sana’a, Cairo, Beirut, Kabul, Khartoum, Nairobi, Kenya, South Africa, Uganda, Costa Rica, Croatia, Czech Republic, Cuba, Cyprus, Iraq, Algeria, Morocco, Egypt, Nigeria, Jordan, Turkey, Lebanon, Tunisia, Angola, Ethiopia, Ghana, Zimbabwe, Sharjah, Ajman, Ras Al Khaimah, Fujairah, Umm Al Quwain, Al Ain, Africa, Afghanistan, Armenia, Azerbaijan, Bangladesh, Bhutan, Brunei, Cambodia, Georgia, Indonesia, India, Kazakhstan, Kyrgyzstan, Laos, Malaysia, Maldives, Mongolia, Myanmar, Nepal, Pakistan, Palestine, Philippines, Russia, Singapore, South Korea, Sri Lanka, Syria, Taiwan, Tajikistan, Thailand, Timor-Leste, Turkmenistan, Uzbekistan, Vietnam, Yemen,Benin, Botswana, Burkina Faso, Burundi, Cabo Verde, Cameroon, Chad, Comoros, Djibouti, Eritrea, Eswatini, Gabon, Gambia, Guinea, Guinea-Bissau, Lesotho, Liberia, Libya, Madagascar, Malawi, Mali, Mauritania, Mauritius, Mozambique, Namibia, Niger, Rwanda, Sao Tome and Principe, Senegal, Seychelles, Sierra Leone, Somalia, Sudan, Tanzania, Togo, Zambia, America and Australia, polycom video conference system, polycom audio conferencing solution, polycom phones.